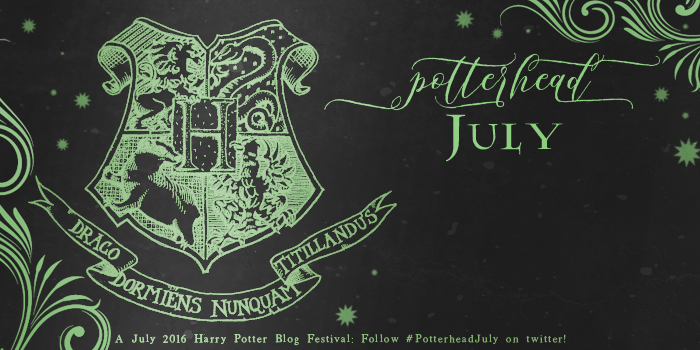 Despite this week being a constant mess, I've managed to get to contribute to Potterhead July hosted by Read at Midnight. The entire month of July, many bloggers have written posts focusing on Harry Potter in the lead up to The Cursed Child release. Well today was the day and I was looking forward to this post so much for this month, I really wanted to write about my topic even though it was suppose to go up on Thursday. There are so many inspiring and memorable characters in the Harry Potter series, probably one of the reasons why the franchise has been so successful, and I can name so many characters I love. Yet, Sirius Black has become my all time favourite character. I do think there will be spoilers in what I will write about Sirius, so do take note if you haven't watched the series or seen the movies! Sirius appears in the third book/movie, The Prisoner of Azkaban, at a time when Harry begins to learn more of his parents and their lives. In this book, the absence of his parents and their love is obvious but the addition of Sirius creates such a huge impact in Harry's life. I love Sirius for what he represents in the series as well as Harry's life. He's introduced into Harry's life as a father figure, trusting confidant and loyal comrade. But what he represented most was hope. I've always seen Sirius as a beacon of hope, even if that sounds cheesy. Sirius is locked up in Azkaban, a place that anyone will despair in, but it's the hope inside of him that keeps him alive. He perseveres because he knows that if he can maintain hope, he can do anything. I love that message. I love that Sirius displays strength and resilience all through one aspect, hope. Sirius instills hope in Harry as well, albeit a kind of false hope. For one night Harry believes he can leave his aunt and uncle to live with Sirius. Later, in the two following novels, that hope is still somewhat there even though Sirius is still on the running. The fight to regain Sirius' innocence is hopeful for both, and in an ideal world it could've happened. Sirius is a role model, although I do admit not always a perfect one, and the lessons he teaches are ones to remember. Friendship is a huge one. He displays the kind of faith and loyalty towards his friends that are usually reserved for family. In this I saw how friends can become family and the amount of love you give you will receive. The friendship story between Sirius, Lupin, James and even Peter was one to admire, and in emphasising that I could really appreciate how important friendship is and what constitutes being friends. Harry could learn love and trust from Sirius, but he also learnt how to deal with grief and the consequences of too much pride, recklessness and impatience. There were so many things that Sirius portrayed, which really resonated with me. His character was important to the story, to Harry and to me. It surprises me that a character who didn't have much time in the series manages to play such a pivotal role, and for that Sirius is by far the most inspiring character in the Harry Potter series. Huge thank you to Read At Midnight for hosting such an amazing event! Check out the other posts here. Also Happy Birthday to The Boy Who Lived & J.K Rowling! Who Is Your Favourite Character? What Do You Think of Sirius Black? My favorite character has always been Hermione. I was always super enthusiastic about reading even as a kid, and I think Hermione helped me feel validated. I'll never be sure of course, but without having read Harry Potter as early in life as I did, I wonder if I would have been more insecure about reading so much. Instead, I thought Hermione was the coolest character, so I felt no shame at all about how much I read, and she might have even encouraged me to read more in order to be like her. I do love Sirius as well. Like you mentioned in your post, he's not perfect, but no one is. Perfect characters are boring. I love all of the parental figures Harry gets over the course of the series because I think that's so important for him after growing up with the Dursleys. Wow, I've never actually considered Hermonie as someone like that despite my respect for her. It's amazing how one character can influence our lives and for so many different ways. Thank you for sharing with me because it's left me with so much to think about it. Sirius was a good character. Of course I was sad and disappointed when he died in the fifth book, but looking back, I actually am a little mad that he was killed then. Of course, Harry deserved a guardian who he cared about, someone who was absolved of the guilt of this all... Of course it would have been nice. But in the way that it ended up, it was like... It was like Harry never truly got to know Sirius at all. There were just two years there. I wish they'd had something more. That's the thing about Harry, somewhat. Most of the time, he doesn't know people long enough to ever know who they truly are. He has Ron, Hermione, and Hagrid, and they stay pretty constant in his life. The struggles they go through in the seventh book prove who they are. But for most of the other characters, especially the adults, Harry has to operate on a lot of blind faith. That's a little sad, if you ask me. I feel exactly like you in that I think Sirius deserved so much more considering he wasted most of his life in that hell hole, but in the end he really was a plot device and it saddens me to think that. Imagine if Harry and Sirius had more time, it would've been amazing. Although I also think it helped Harry mature because Sirius did become somewhat of a reckless influence on him towards the end. And 100% agree on Harry's relationships with those who he learns to trust but in the end must say goodbye. It really exemplifies though, how evil Voldemort was and the world he was trying to create. The sacrifices made were all for the "greater good", whether we liked it or not. Thanks for popping by and sharing your thoughts with me! Sirius is also my favorite character! I love how loyal and faithful he is to James and Harry, and how he plays as father, friend, protector, and family for Harry. I mean, there's Lupin, but the bond Harry and Sirius have is instantly really strong, and it just feel like the last connection to James (again, there's Lupin, but it just feel that way). He's not perfect, but that's what makes him interesting. That's probably my favourite part! That Sirius became the bridge between Harry and his father's life, so he (and us) could learn so much more about them. Reading about Moony, Padfoot and Prongs was by far the best thing ever.